Free shipping. Buy direct from HP. 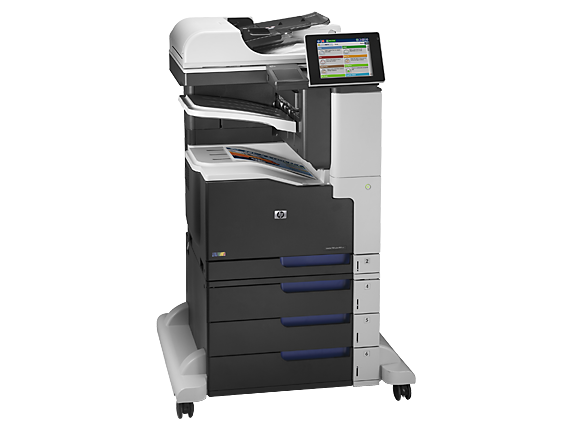 See customer reviews and comparisons for the HP LaserJet Enterprise 700 color MFP M775z. Upgrades and savings on select products. 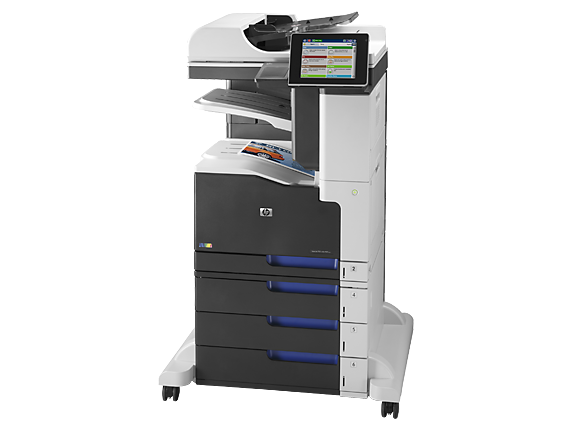 Boost productivity and reload paper less often with 1850-sheet paper capacity.Automate high-volume print, scan, and copy jobs to save time, using the 100-page automatic document feeder.Easily manage your business’s color printing with HP Color Access Controls. 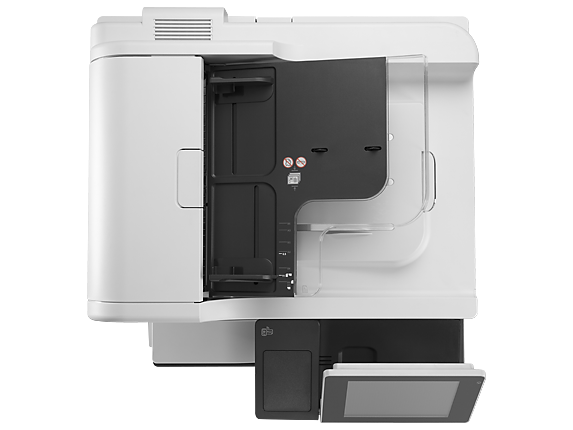 Save and print files directly at the MFP via an easy-access USB port. Improve workflow using touchscreen controls to preview, edit, and digitally send documents at the device. 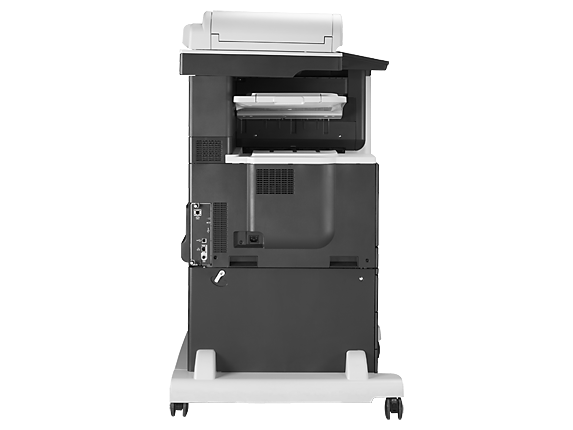 Streamline tasks—print, copy, fax,  and scan projects directly at the MFP's large color touchscreen.Incorporate paper documents into digital workflows—easily send scans to fax,  e-mail, or network folders.Efficiently capture the right content—remove blank pages in scanned documents to avoid wasted paper. Upsize color printing capabilities with media sizes up to Ledger/A3 for impressive marketing materials and more.Impress with bold text and smooth color—and get the color output you intended with Pantone® matching.Go from zero to done, right at the MFP—print, copy, scan, and fax from the large touchscreen.HP ePrint—now print from your smartphone or tablet from virtually anywhere. 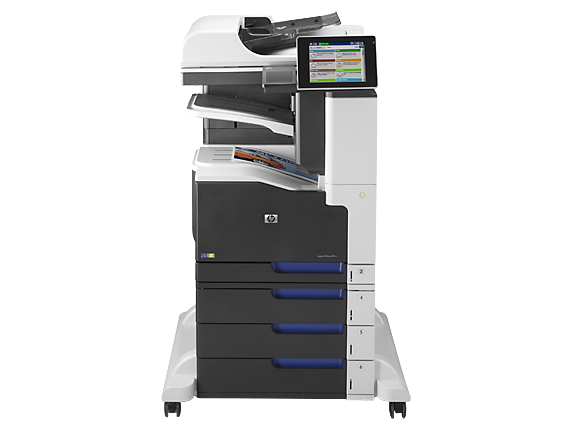 Boost productivity and reload paper less often with 1850-sheet paper capacity.Automate high-volume print, scan, and copy jobs to save time, using the 100-page automatic document feeder.Easily manage your business’s color printing with HP Color Access Controls.Save and print files directly at the MFP via an easy-access USB port. Improve workflow using touchscreen controls to preview, edit, and digitally send documents at the device.Streamline tasks—print, copy, fax, and scan projects directly at the MFP's large color touchscreen.Incorporate paper documents into digital workflows—easily send scans to fax, e-mail, or network folders.Efficiently capture the right content—remove blank pages in scanned documents to avoid wasted paper. Extend the capabilities of workteam print environments, using a rich array of easy-to-integrate solutions.Boost printing and imaging safeguards and protect business data with fleet-level security solutions.Add security solutions—such as card and badge readers—through the hardware integration pocket.Help control expenses with energy-saving features.